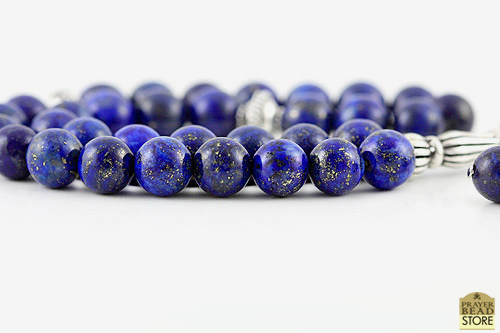 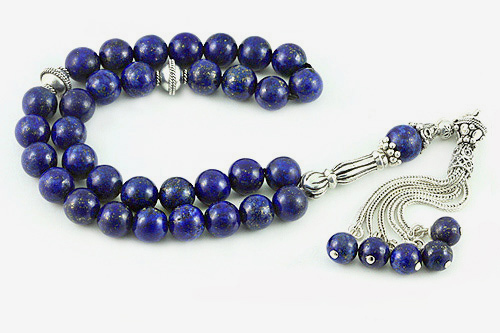 8mm 33 count "high grade" authentic lapis lazuli beads, Sterling silver seperators, handle and tassel. 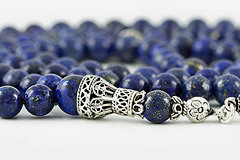 Space between the beads is approximately 2-3 beads width. 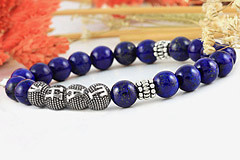 Free Shipping Worldwide, plus Free Handmade Luxury Gift Box. 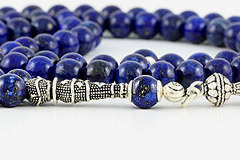 ABOUT LAPIS GEMSTONE: Lapis Lazuli has determined and effective energy. 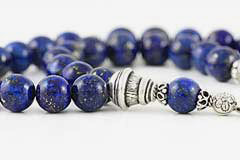 Clarifies unreasonable thoughts, decreases concerns, refreshes the body. 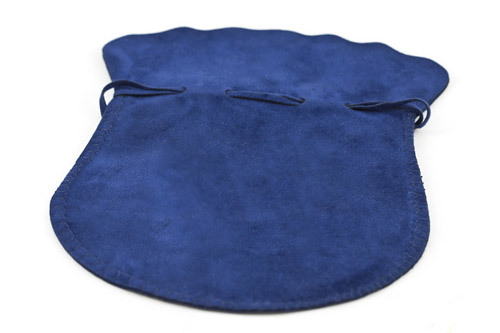 Useful for mental alertness.